Residents of Wisconsin are always encouraged to return to school. With the options available for funding and convenience, you are always given the opportunity to return to school now matter what age you may be. This is an optimal time to return to school as the economy and job market is suffering and seeking new employees for various needed industries to repopulate the working population. The state of Wisconsin and several entities within highly support continued education whether transitioning from high school or returning to school after many years. Student must be a resident of Wisconsin. Student must have a high school diploma or equivalent. Student must be enrolled in an undergraduate degree or certification program. Student must be attending non-profit, participating college or university within the state. Though there are exceptions and expanded requirements depending on thGe actual grant or scholarship opportunity, many are available to you just for being a resident of Wisconsin and continuing your education. The Wisconsin Higher Education Grant is available to any undergraduate student currently residing in the state of Wisconsin and attending a degree program or certification program at the participating educational institutions within the state of Wisconsin. The student must be enrolled at least half time and continuously enrolled to receive the grant each year. The actual award amount is decided annually by HEAB and the awards are no less than $250, no more than $3000, and cannot exceed 10 semesters per student. The actual amount you can receive depends on your actual financial need. To receive information on this grant, you should contact your school’s financial aid office to discuss eligibility. The Wisconsin Tuition Grant is available to undergraduate students that are residents of Wisconsin. Students must be enrolled at least half-time at the participating not-for-profit, independent colleges and universities in the state of Wisconsin. The award amount is determined each year by HEAB however depends on the student’s financial need and can be no less than $250 not exceeding 10 semesters. In order to get more information on obtaining this grant, you must contact HEAB or your financial aid office of the institution you attend. Funding for this grant is provided by the State of Wisconsin as well as the Federal Government and is continually rewarded each semester for no more than 10 semesters as long as the student continually attends and demonstrates financial need. Students must be enrolled at least half-time and be first-time freshman to receive the initial award from $600-$1,800. In order to apply, you must complete the FAFSA and the Financial Aid office or WEOP will nominate those that qualify. These grants are awarded between $250 and $1,100 and are renewable for up to five years of continuous enrollment and include funding for graduate studies. To apply for the grant, you must complete the FAFSA either on the web or through the Financial Aid office and download the application for the Indian Student Assistance Grant on the website. The student must be enrolled at least half time and must be an undergraduate Wisconsin resident. The award amount is dependent upon financial need and ranges from $250 to $1,800. These students must demonstrate a severe or significant hearing or visual impairment. To apply, you will complete the FAFSA and obtain the application through the HEAB website. The actual award is funded partly by the State of Wisconsin and matched by the university or college you attend and will equal $2,250 each year for tuition. You must enroll the year following designation of the award as a full time student by September 30th in order to receive the award. There is no application as your high school will nominate you if you qualify. 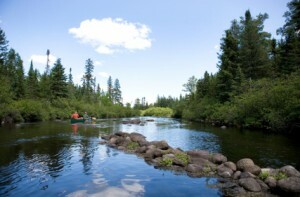 The Community Foundation of North Central Wisconsin was founded in 1987 and offers several scholarships to students that are attending qualified Wisconsin universities and colleges. Applying for this scholarship will be through the high school you are graduating from and the award amount will be based on tuition costs. The student interested in applying should register with the Community Foundation office as well through the Conservatory. The student must also be planning on attending an accredited college or university to be eligible for the award. The application should be filed through the high school’s administration office or through the appropriate counselor. The Wisconsin Mathematics Council, Inc. is an organization that focuses on developing, advocating and promoting quality education for students throughout Wisconsin. This includes providing scholarships for students that are pursuing a post-secondary education after graduation from high school. Secondary major applicants must have successful completion of 16 mathematics credits as well as a statistics and computer programming or computer technology courses incorporated in the program. Elementary major applicants must be completing a course that has at least 6 mathematics credits as well as some statistics concepts and computer technology incorporated into overall program. Applicants should obtain the application from the Wisconsin Mathematics Council, Inc. online website at: www.wismath.org. Print or email the application following the directions provided on the website. 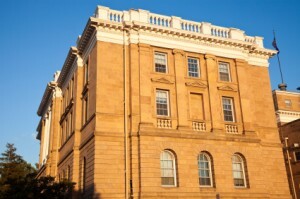 The University of Wisconsin comprises several campuses and also offers varying financial aid opportunities to various students based on need and merit. There are several scholarships and programs available that will assist any Wisconsin resident in obtaining a secondary education. 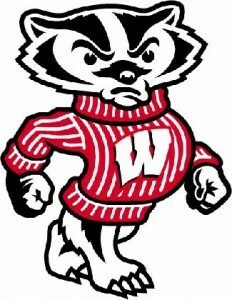 FASTrack is a University of Wisconsin-Madison sponsored program that assists students that are pursuing their secondary education on securing the necessary funding in order to afford to attend the University. The actual program will consist of securing grants, work, and small loans to provide funding throughout the enrollment terms. Each year for four years, the program assures the student’s financial needs will be met. To apply, you just need to apply for aid and you will automatically be considered. Hilldale Undergraduate/Faculty Research Fellowships are University of Wisconsin-Madison, campus-wide scholarships that are awarded to undergraduate students that are conducting research in collaboration with faculty or staff of University of Wisconsin-Madison. Students must be at least a junior in order to be eligible and have a quality research proposal as well as an original and intellectually significant research study. The minimum award for the academic year is $4,000. The preference for this award goes to students who were in the top 10% of their high school class. Although the students don’t have to have a financial need to be considered, those with a high financial need as well as high rank in class will be a higher priority than others. The Adolph R. Thiede Memorial Scholarship has been offered since 1990 to junior undergraduates studying in the school of education who demonstrate significant academic achievement in at least four total semesters two of which must have been attended on University of Wisconsin-Madison campus. Secondary factors will be financial need and other specifics for qualification. The minimum award amount per academic year is $2,500 and the student to receive the award will be decided by the All School Scholarship Committee. Applying is done through the University of Wisconsin-Madison Financial Aid office. In order to apply for the scholarship, students must be registered on the University of Wisconsin website and find the application through the finance tab after logging into MyUW. Students must also provide two letters of recommendation with the application. As there are various specific qualifications based on the grants or scholarships, being a Wisconsin resident and demonstrating financial need comprises a large basis for decision for most of these grants and scholarship programs. Finding the program that is right for you will consist of searching the internet and looking through the above foundation websites in order to see other scholarships and grants that may be offered. Applying for as many as you qualify for is a good idea to prevent large tuition loan bills from adding up over time. Getting your education has never been easier and it is your time to take advantage.